In our recent posts, we have discussed the relevance for law firms to adopt a secure cyber security policy. Over the last few years, these threats have become significant threats to both small companies and large corporations, threatening their livelihood, reputation, and success. To protect against these exposures, a Lawyer Cyber Liability is critical. 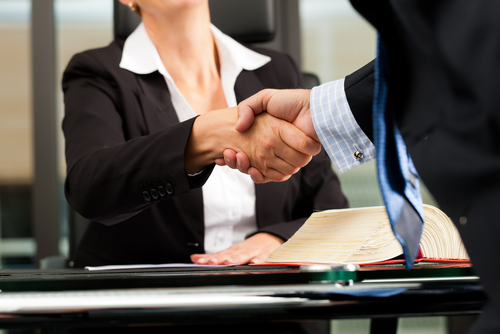 Every law firm controls and has access to client’s confidential information. While they may not have much cash on hand, the information that can be swiped via a data beach can be the trove of wealth for scammers and hackers. Aside from the predictable consequences of a data breach, there are other obligations that a law firm must abide by. Ethical responsibilities are a large component for lawyers. The well-known ABA Model Rule states that “a lawyer shall make reasonable efforts to prevent the inadvertent or unauthorized disclosure of, or unauthorized access to, information relating to the representation of a client.” Therefore, the necessary security systems must be put into place to prevent any unauthorized usage of client information. While some companies disregard cyber protection, the growing relevance for cyber security has skyrocketed in the last few years alone. In addition, the legal responsibility of cyber protection is eminent. Some of the information stored and used by law firms on behalf of their clients, as well as in management of the firm itself, is subject to statutory, regulatory and contractual requirements regarding the use and protection of the information, states Law Practice Today. For example, HIPAA Data Security regulations have included amendments to protect client information from law firm data breaches. While cyber breaches have obvious consequences in relation to loss of business and income, these critical components must be considered when firms evaluate their coverage.